Who doesn’t love new stuff? Whether it’s news, gossip, or the latest fashion trend – we all want a piece of the action. FOMO (fear of missing out), it seems, is very real and not just some strange social media slang. No one likes feeling left out, so we do our best to be in the know on all the new things happening around us. But do you sometimes get tired of catching up to all the hype? On the subject of content marketing, for instance, I often find myself reading and enjoying the more comprehensive older posts more than I do the new, rehashed ones from syndicate sites. It’s not that I don’t find the new ideas awesome – it’s usually because older (or evergreen posts) tend to have a better grasp of the topics I care to know about. 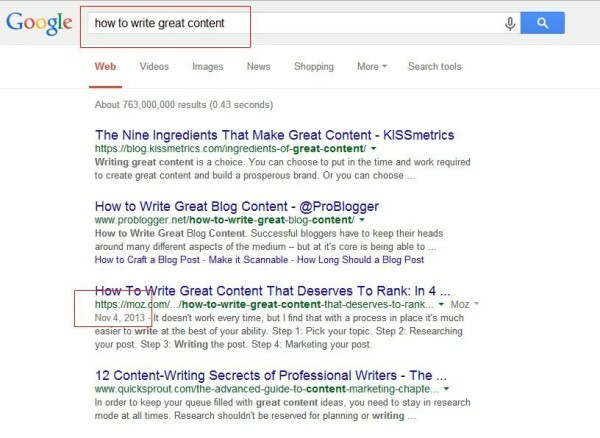 Example: Entering “how to write great content” on Google search displays several results from posts dated 2012 or 2013 (a few may be older, as they don’t have a time stamp). In digital marketing, that’s considered “old content” because updates are so common in the field, that what we know today may not apply tomorrow. Still, why are these older articles trending when they are years behind? As content marketers, we all know why these results appear – that type of content is “evergreen.” In other words, these posts are about ideas that hardly change with the passing of time and, thus, are always relevant, especially to beginners. I like to compare evergreen posts to the foundations of a house. You may put up new wallpaper, patch up the roof, or even change the tiles on the floor – but rarely do you need to change the foundation of the house. For those who don’t have an evergreen content strategy, it’s never too late to begin. While industry pros may enjoy your expert articles, at some point a newbie will come along and you’ll be disappointed because you don’t have any content to help him out. Now I’m not going to tell you how to write evergreen content, as there are plenty of great articles for that. Instead, I’m going to show you how to make evergreen content work effectively. TIP: You don’t need to make it longer unless your content requires it. For instance, there are plenty of evergreen articles about how to grow a rosebush. Unless you tell your personal biography or use fillers, you’re not going to end up with 2,500 words. TIP: Using shorter URLs can help users better remember your evergreen content. They look cleaner. If they’re done well, they also give the gist of your article before users open the page. One of the best things about going evergreen is that there’s always something new. For instance, after publishing your how-to-grow-a-rosebush guide a year ago, you discover a better alternative to the suggested mulch. Simply scratch out the dated content and update with the new information, and voila – your content is as good as new again. Updating also gives you the chance to scan your content again for links that are outdated or missing. We all know how 404 errors can slow loading speed; checking on the links once in awhile will ensure you provide quality posts all year round. TIP: When you update, don’t forget to inform users with a date stamp. Now, some may not use them, but having an “updated on” date is useful for letting people know that you are constantly providing current information. Creating evergreen articles is only half the battle. Sure, you may have the most amazing comprehensive guide on how to take care of rosebushes, but if nobody knows it’s still there, how can they read it? You’re all familiar with promoting on social media giants like Facebook and Twitter, but how about sites that are evergreen-friendly? One of those evergreen promotional sites is your blog. 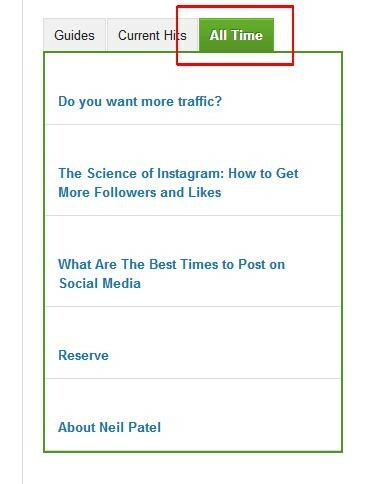 Make sure visitors have a chance to see your evergreen content by putting direct links to it on your most popular posts. Another great way to lead readers to your evergreen content is to incorporate them as related articles after viewers have read something on a similar topic. TIP: Use social media channels that don’t drive on trending topics like Twitter and Facebook do. 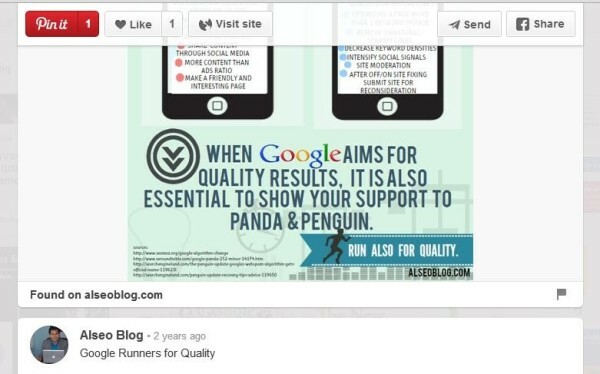 Promoting on Pinterest and Google Plus could help boost the rankings of your evergreen posts. They tend to have longer shelf life because their users care more about relevancy than freshness. Hence, that’s the reason why you see Pins from 2010 appear. Don’t forget to include your URL and a clear description of your photo’s subject. Google+ made evergreen content promotion a lot easier when it introduced Google+ Collections, a feature that lets users gather related posts under just one URL. With every Google+ Collection, you can neatly organize all the topics you have written for your blog (from the start) and other relevant topics you have posted in your feeds. Because every collection has a unique URL, you can use it for a source, forum, answers on Q-and-A sites, a Twitter chat resource, or as a link for new social media updates. It’s easy, convenient, and looks great. Avoid copying and pasting the original text. Alter a bit by adding a different introduction, changing a few words, etc. Make sure to link back to the original article (you can even post a teaser and link to the full article on your website). Promote only on relevant groups to target your real audiences. Who doesn’t like free stuff? Let’s face it: Although a lot of people love comprehensive guides, they often don’t have the time to read all that content. Often, they bookmark it to read later, or scan it and go straight to the bullet points. That’s why evergreen content needs to be flexible. Text and pictures are great; but let’s offer something more, not only to entice audiences to read your stuff, but to ensure they love it so much they want to share it. The secret? Freebies in the form of downloadable content or TL;DR (too long, didn’t read) designation. Say you have a 1,500-word guide on how to take care of rosebushes. While some gardeners will sit down and enjoy it, others want to go straight to their gardens and try your suggestions. 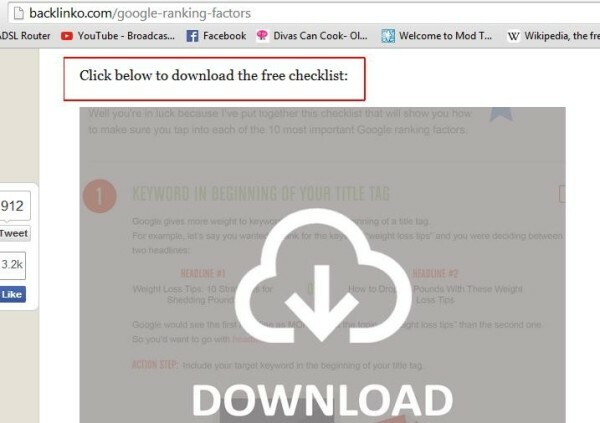 Be ready for this kind of readers by having a ready-to-download-and-print file for their convenience. Brian Dean of Backlinko does an awesome job with this strategy for his comprehensive posts. 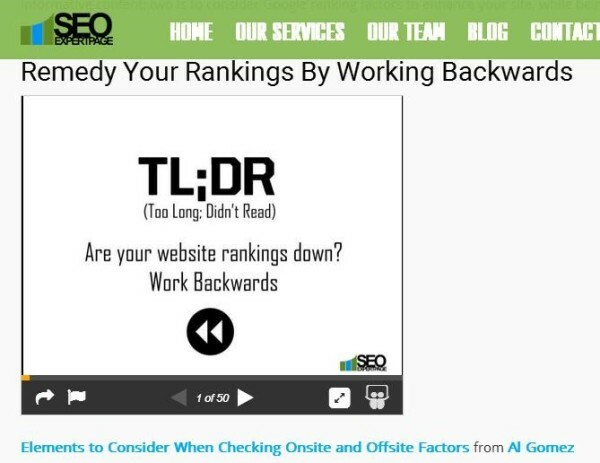 Another method to add value to your evergreen content is to solve the potential TL;DR challenge. Create either an infographic or a slideshow to showcase the main points of your evergreen content, emphasizing the most helpful points for your audience. Share the abbreviated content with other slide- or infographic-sharing sites, which is truly ideal to spread the message of your evergreen content. Although adding these elements takes more time, they are well worth the effort because your TL;DR audience will appreciate the gesture. 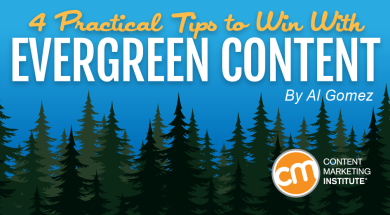 BONUS TIP: Make sure your evergreen content is mobile-friendly. According to 2015 statistics, about 97% of people between the ages of 18 and 29 use their mobile devices to access the web. If you don’t know the basics of going mobile, it’s never too late to begin. After all, Google’s mobile-friendly algorithm updates in real time, so you can enjoy its benefits the minute you switch to responsive content. If you host your evergreen articles on a different website, make sure it’s mobile-friendly. Otherwise, that’s a lot of lost traffic opportunity. Trends may change, but some ideas always remain relevant. Investing time and effort into creating awesome evergreen content will surely pay off in the long run. Besides, we were all once beginners looking for basic information. Why not return the favor and share your skills with those who are just starting out in the industry? Al Gomez is a SEO consultant, a blogger, web developer and the man behind SEOExpertPage.com and Dlinkers, a company dedicated to complete digital marketing services. With more than nine years of experience, he enjoys supporting smartpreneurs like himself achieve online success. He can also be found blogging at his own blog at AlSEOBlog. You can also find through twitter at @alseoblog.